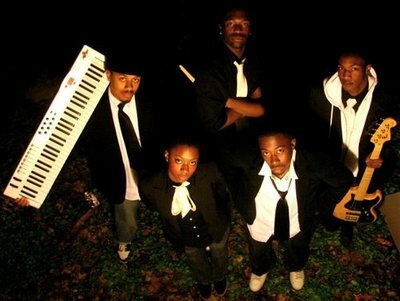 Columbia Nights is a band out of DC whose ‘soultronic’ sound has set them apart from other local acts in the area. Read the interview below as they explain the meaning behind ‘soultronic’, what they feel their place in music is, and their music making process. Who are the members of Columbia Nights? Where is each of the members from? Hayling Price (HP): I’m originally from New Rochelle, NY. Jason “BrotherSpanky” Edwards (BS): I was born in Brooklyn, NY and grew up mostly in DC. How was Columbia Nights formed? HP: Jason, John and I were bandmates during college in Philly, and we eventually reconnected when we all found ourselves in DC after school. Jason provided some session work for our debut EP, and once he moved back to DC a couple years back John and I invited him to join our creative process as a full-fledged member. Who plays what role in the music making process? BS: All of us. While there aren’t really rigid or delineated roles, we’ve begun streamlining our creative processes, and it’s likely that I’ll develop percussion and/or keys, JD will play bass and guitars, and HP will likely work on synth voices and the overall mixing/arrangement process. How did you all learn music? Classically trained or self taught? HP: I’m classically trained on the piano, and self-taught when it comes to studio production, programming and mixing. JD: I am mainly self-taught. I learned a lot from watching other guys play in guitar shops and receiving lessons here and there from those dudes who really wanted to help a young kid out. BS: I was trained on the piano from 5 to 14; beginning with classical and then moving into jazz. On all other instruments, I’m basically self-taught. 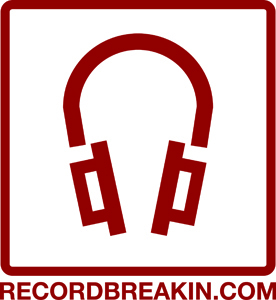 What is your connection to Record Breakin? Is it a record label, distribution deal? HP: We were initially introduced to DJ Junior (founder of Record Breakin’ Music) through a mutual friend in Philly, and after a few months of exchanges ended up singing a distribution deal back in 2011. How has the experience been with Record Breakin? Have you been able to collaborate with any other acts associated with them? HP: Junior’s been really supportive of our movement from the very beginning. Besides running a label, he’s also a radio DJ and tastemaker who’s worked with a lot of up-and-coming artists. So, beyond getting the album out there he’s been a great thought partner when it comes to preparing and promoting a release, and connecting with some great folks who’ve helped us take things to the next level. He also connected us with a few dope producers for the remix EP that came out earlier this year. HP: Soultronic is that synthesis of sounds we strive to capture—that marriage of elements from the old and new, analog and digital, live and electronic… It’s the result of a lot of sounds we’ve digested over the years across the sonic spectrum. 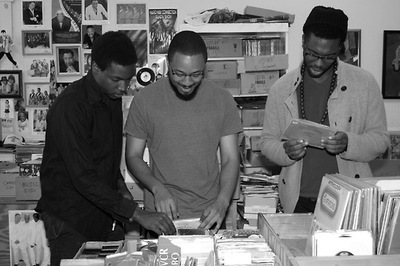 Why does Columbia Nights see themselves as agents of change in black music? BS: Because as listeners and as practitioners, none of the three of us have ever been satisfied with the status quo. Music is what you make it, and we are fortunate enough to be makers of music. That blessing can’t simply be wasted by following trends or being satisfied with mediocrity. I honestly believe that while the music industry is no meritocracy, the world of music always notices those who are doing something worth paying attention to. 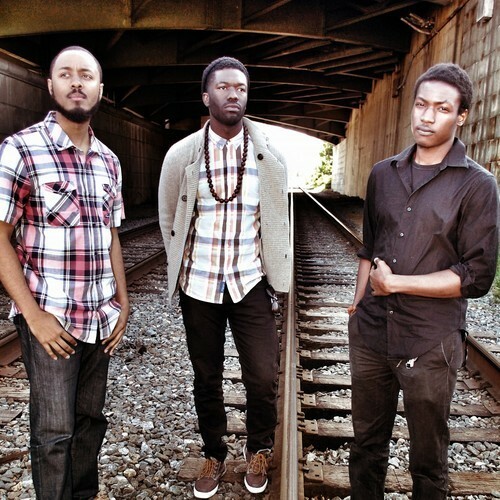 Why is it important to you all to create a new sound, to contribute to black music? HP: From the beginning of this project, we’ve been pretty intentional about creating a new sound that draws from our range of influences. There are a handful of innovative newer artists that inspire us, but as a whole we all feel like black music is more stagnant than it’s ever been. With that in mind, we strive to push the envelope in our creative process and challenge the expectations of listeners. At the end of the days we’re all just fans of good music, and ultimately wanted to make the kind of music we’d like to listen to. Does the trio only record for Columbia Nights or does everybody have side gigs/projects? HP: Before we came together, I did a lot of freelance production for emcees, singers, and spoken word artists. I’ve also released a few instrumental beat tapes. Since our work’s picked up steam I haven’t done as much solo production, but I do occasionally release one-off tracks and provide sounds to artists I have relationships with. BS: Like Hayling, I also produce independently, for myself and for other artists as well. I’ve played in several groups and currently drum with singer/songwriter Ab (aka Aaron Abernathy) as a member of the band Nat Turner. JD: I do some session work playing for different bands in the DC area. I’ve played in jazz groups, rock and R&B bands, gospel in churches pretty much anywhere where I can learn something new. How has living in DC influenced Columbia Nights music? HP: DC’s environment has a really unique mix of urban and bucolic elements, and I feel like that’s definitely reflected in our music. There’s a beautiful balance here that I think translates well into sound. I’ve also found that DC natives are really proud of the rich music history here, carrying the torch for greats like Duke, Marvin, and Chuck Brown. What role does crate diggin play into the sound of Columbia Nights? BS: While hardly any of our music is sample-based, each of our individual music interests, as well as our collective musical focus, is inspired and propelled by the great musical giants of the past, as well as the understated and often forgotten faces of music history. We largely connect to those elements through vinyl records. As admitted audiophiles and sometimes purists, we all prefer vinyl records to the sound of digital, more highly-compressed music, and crate digging serves as both a tangible link to the past as well as a personal satiation of that auditory experience. What is the goal for Columbia Nights and where do you all see yourselves in 5 years. HP: In 5 years, I hope we’re increasingly known and respected by the community of independent musicians that we admire. I’d also love to start playing shows again after we’ve gotten around to completing another project. I hope we expand our sound with every release, and challenge listeners who come across our music to seek other sounds that inspire them. Tags: band, columbia, columbia nights, DC, hip-hop, instruments, jazz, music, nights, r&b, soul, washington d.c.. Bookmark the permalink.